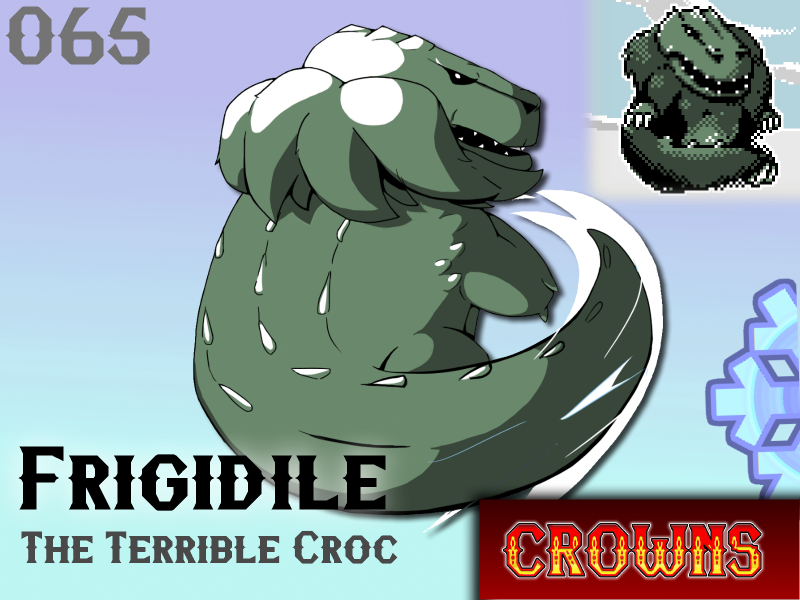 Frigidile are unique amongst their cold-blooded brethren. They have not only adapted, but learned to dominate in the harshest of frozen storms. Their hardened hide stands strong against pelting hail and a thick mane insulates their necks from both the elements and other Frigidile. When pleased, they let out a bellowing roar that can sound like a low, inhuman laugh. Frigidile take joy in cornering several small Canite and tossing them into its jaws, devouring them in a single mouthful. Getting lost in a Frobec storm and coming face to face with this beast is a fear of many. The beast's terrifying visage and dietary habits have earned this monster the moniker "Raptor of the East". Will Frigidile make your team?